JAMPUR: Mohammad Ramzan can neither hear nor speak, and he has a childlike mind. But he knew his wife, Saima, was too young when she was given to him as a bride. 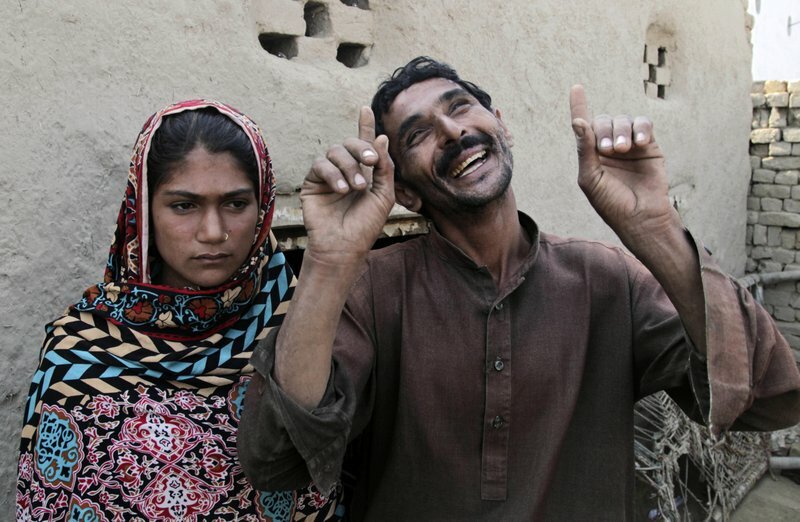 The 36-year-old Ramzan smiles, eager to please, as he uses his fingers to count out her age when they married. One, two, three . . . until 13, and then he stops and looks at her, points and nods several times. The girl's father, Wazir Ahmed, says she was 14, not 13, but her age was beside the point. It mattered only that she had reached puberty when he arranged her marriage as an exchange: his daughter for Ramzan's sister, whom he wanted to take as a second wife. His first wife, Saima's mother, had given him only daughters, and he hoped his second wife would give him a son. But Sabeel wouldn't marry him until her brother had a wife to care for him. She would be a bride in exchange for a bride. "We gave a girl in this family for a girl in their family," Ahmed says. "That is our right." 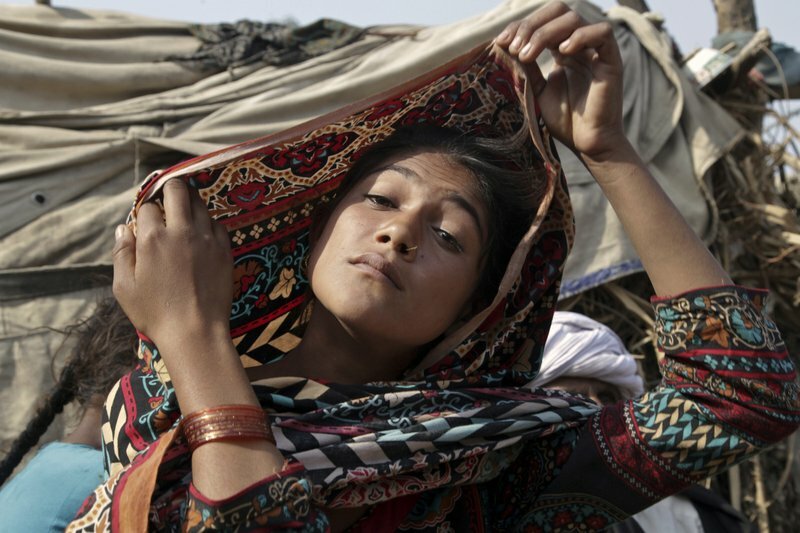 In deeply conservative regions such as this one in the south of Punjab province, the tribal practice of exchanging girls between families is so entrenched, it even has its own name in Urdu: Watta Satta, which means give and take. A girl may be given away to pay a debt or settle a dispute between feuding families. She might be married to a cousin to keep her dowry in the family or, as in this case, married for the prospect of a male heir. Many believe that their Islamic religion instructs fathers to marry off their daughters at puberty. "If it is not done, our society thinks parents have not fulfilled their religious obligation," says Faisal Tangwani, regional coordinator for the independent Human Rights Commission of Pakistan in nearby Multan. Ahmed sees the hand of God in his daughter's marriage to a disabled man. "It was by God's will that he was chosen," he says. "It was her fate." Ahmed sits inside the mud-walled compound where he lives now with his two wives. Outside, stray dogs roam in packs of three and four. They bite, Ahmed warns. He says that the fact that Ramzan is nearly three times his daughter's age is irrelevant. But the legal marrying age here is 16, and in a rare move, police did investigate Saima's marriage after they received a complaint, possibly from a relative involved in a dispute with her father. Ramzan and Ahmed were jailed for a few days, but Saima testified in court that she was 16 and they were released. She says she told the authorities she was 16 to protect her father and husband. In Saima's world of crushing poverty, where centuries-old tribal traditions mix with religious beliefs, a crippling cycle traps even the perpetrators with a life's burden: a father who longs for a son to help support his family; a wife who must provide that son; a daughter who must become a mother even when she is still a child. Saima's mother, Janaat, agrees with marrying off her daughters early. She says girls are a headache after they reach puberty. They can't be left at home alone for fear of unwanted sexual activity — or worse, the daughter leaves home with a boy of her choice. "That would be a shame for us. We would have no honor. No. When they reach puberty quickly, we have to marry them," she says. "Daughters are a burden, but the sons, they are the owners of the house." She says she accepted her husband's marriage to another woman; after all, it's her fault he only has daughters. "I feel shame that I don't have a son. I myself allowed my husband to get a second wife," she says. Her husband's new wife, Sabeel, says she agreed to marry Ahmed because of her brother. She wanted him to have a wife. "No one had been willing to give their daughters to my brother," she says. Ramzan is quick to extend his hand to guests who enter through the torn and tattered curtain that hangs over the front door to his compound, tucked away in a narrow alley lined with open sewers. Ramzan's elderly parents live with him. His father rarely leaves his bed, saying he has trouble walking. His mother begs from morning until night, sometimes knocking on doors, other times parking herself in the middle of a dusty road, her hand outstretched for donations. Like Ramzan, she can neither hear nor speak. Both her hips and one knee have been broken. She gestures as if breaking a twig to explain her troubled knee. Ramzan looks at Saima, her hair hidden beneath a sweeping shawl, her large brown eyes downcast. "I didn't want to marry her so young. I said at the time, 'She is too young,' but everyone said I must," he says through a series of gestures interpreted by those around him. He held his hand up just below his chest, showing how tall she was when they married. Saima doesn't talk much. Her answers are short, and matter-of-fact. "His sister and my father fell in love and they exchanged me," Saima says. "Yes, I am afraid of my father, but it is his decision who I will marry and when." She picks at the rope bed where she sits with Ramzan. Her husband often reaches to touch the top of her head. He gestures that he is afraid Saima will leave him one day, and says that God will be unhappy if she does. 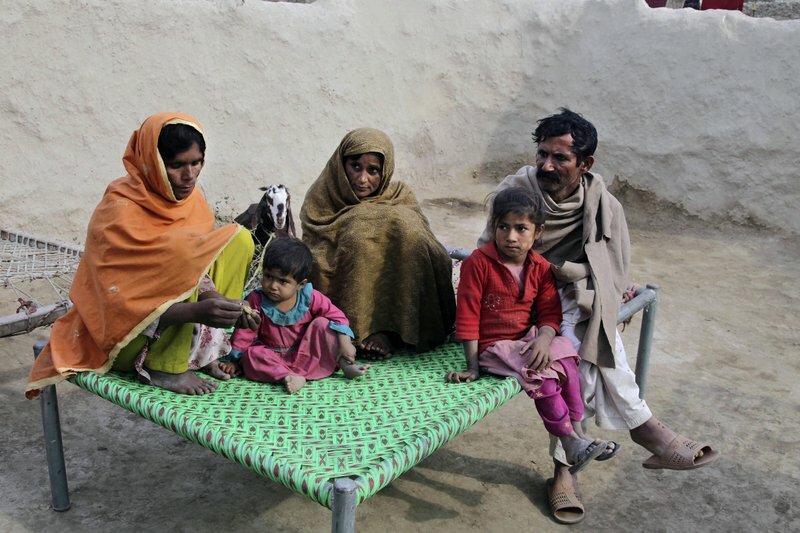 Saima had gotten pregnant soon after she came to live with Ramzan but lost the child at five months. Ramzan gestures that he wants Saima to take some medicine to help her get pregnant again. Saima rarely looks in his direction but says she has no quarrel with him, nor does she plan to leave. Saima says she understands her husband's gestures, but it's hard to know. Most of the translations are done by his 12-year-old niece, Haseena, Sabeel's daughter from the previous marriage. Haseena was 10 when Saima married her uncle Ramzan and her mother left to live with the new bride's father. Haseena stayed in the house with her uncle and her elderly grandparents to cook, clean and keep Saima company. She even prepared Saima's wedding dinner. "When Saima married my uncle, my mother told me to leave school and be with Saima because she will be all alone at home," Haseena says. Haseena recalls that Saima seemed so young, the family felt sorry for her. "At her age, she should have been playing." Back at Saima's old home, her 7-year-old sister, Asma, wanders around, shoeless, her hair matted with dirt and dust. Asma already has been promised to her cousin, who is about 10. They will marry when she reaches puberty. Prime Minister Nawaz Sharif has convened a meeting on Monday to review shortage of petrol.